But if you can read this, then it worked! Then we can run the usual apt-get update / apt-get upgrade shuffle. So just update the held back packages and get it over with. Ugh, it isn’t pretty. But now we are on the newer train of PHP! Hopefully things continue to work. In the mid 90’s the CD-ROM format was becoming insanely popular, and seen as a ‘get rich quick’ scheme for a brief time. And of course one of the greatest, customizable games ever, DooM is from that era! Combine the two, and you have an awesome collection of shovelware CD’s featuring DooM utilities, mods, and levels! Perhaps one of the more popular CD-ROM distributors was Walnut Creek, which had a good relationship with FreeBSD. Oddly enough it would eventually merge with BSDi, and split, merge, acquire, become acquired by others. Archive.org has their massive CD-ROM collection online! And, it of course includes the DooM 1994 CD. 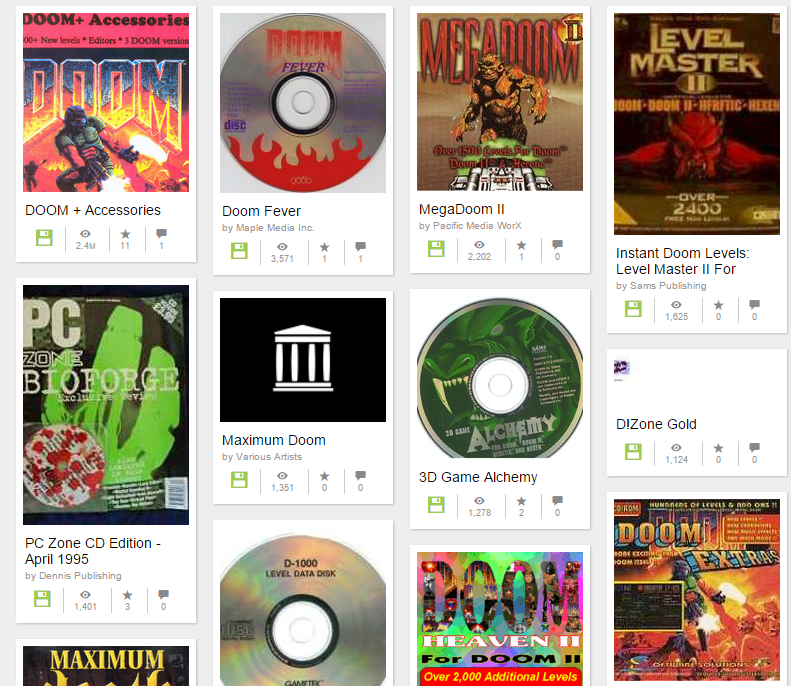 Author neozeedPosted on October 29, 2015 Categories doom2 Comments on DooM shovelware CD archive! I saw this fun filled post on Hackaday. While a little light on the FORTRAN content, it does have some interesting comments. PCem version 10 is officially released! I personally prefer PCem over DOSBox at the moment, as PCem runs the actual BIOS code, so it feels more like an actual vintage PC. PCem does need a significantly more powerful machine to push it thought. Author neozeedPosted on October 25, 2015 October 25, 2015 Categories pcem8 Comments on PCem version 10 is officially released! The client needs to access the internet! But let’s not give them access to everything. This is a common scenario I see, where someone needs to get updates to some magical software package on the internet. Great. And people just give them access to ANY site, which ends up being not only the internet (the intended destination) but the rest of their internal network. Granted a good defense in the SDN world is inbound rules as well for each VM, but everything is never 100%. Now I can exclude everything right up until 10.0.0.0/8 ! It’s quite the handy tool, but I didn’t see any Windows version. So a few minutes with MinGW, and dealing with it’s weird Makefile’s way of linking things, and here you go! This way you can permit internet access, not give them inside, access and still have a global DENY actually work. Yes, I know it’s a LOT of typing. Author neozeedPosted on October 22, 2015 January 14, 2017 Categories cisco networking, interenet, virtual networkingLeave a comment on The client needs to access the internet! 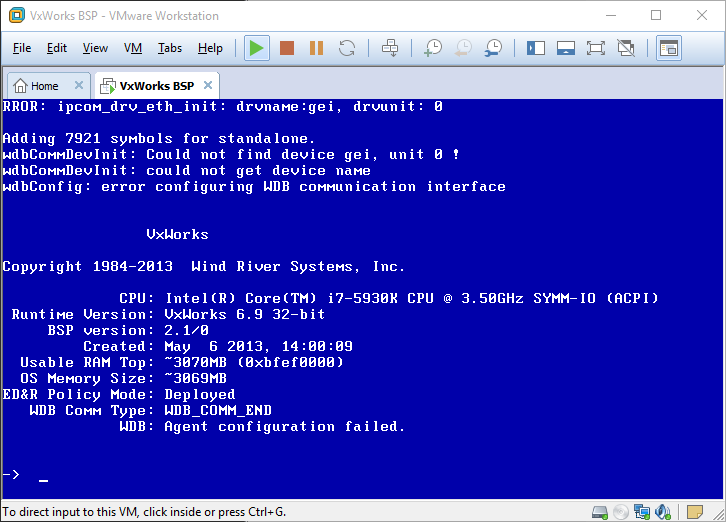 You can run VxWorks too! 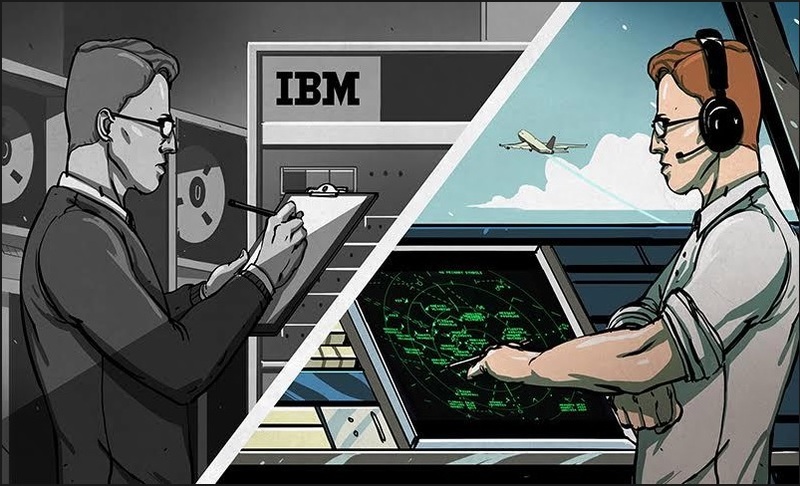 VxWorks is an embedded operating system that typically runs on things like Mars probes, Boeing 787 or Apache helicopters, but today you can run it too! WindRiver has an evaluation target that you can run on an Intel CPU, meaning you can spin it up on your favorite hypervisor at home. Go to this page: http://www.windriver.com/evaluations/bsp/ register, download the two ZIP files and follow the instructions. 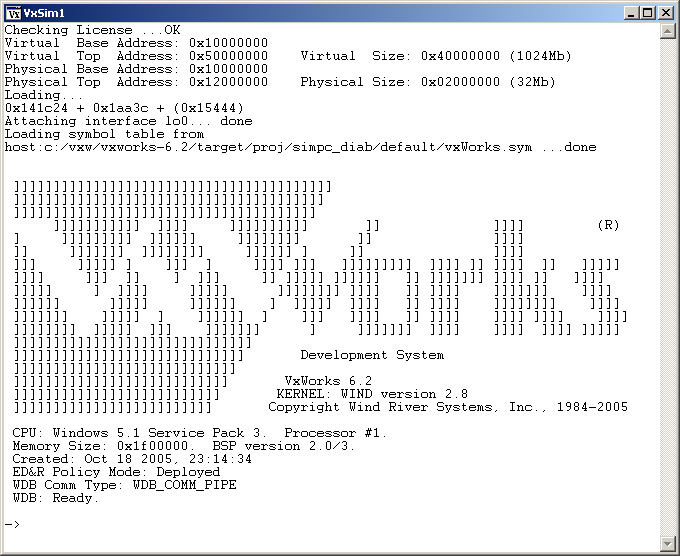 VxWorks comes with two shell modes C and admin. In C shell you execute C code and you can write simple programs or even patch existing running code like they did on Mars Pathfinder. This is the default one with -> prompt. You can enter to admin shell by typing “cmd”. If you are familiar with KSH “vi” mode you can use it for history and editing command line. Author tenoxPosted on October 22, 2015 February 19, 2019 Categories guest post, random updates4 Comments on You can run VxWorks too! Kind of crazy to think it’s been 30 years. Time has flown, and we’ve been one of the lucky ones to make it. And just think, only 23 more years, and the Unix clock runs out! 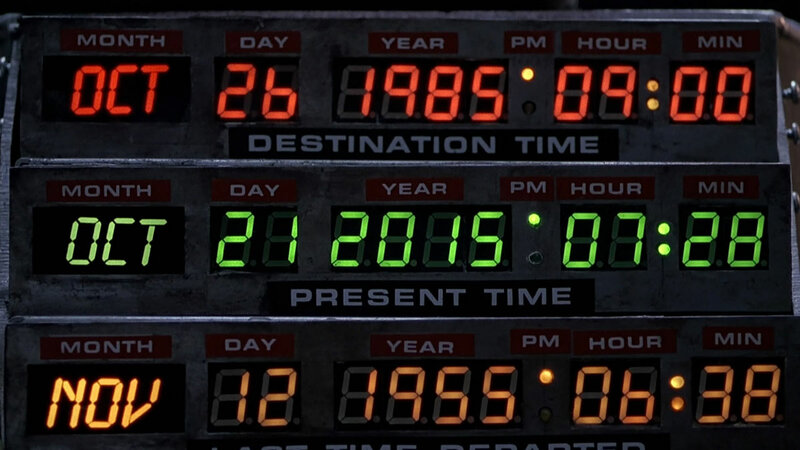 Author neozeedPosted on October 21, 2015 Categories 2038, random updates1 Comment on Happy Back to the Future day! OpenBSD's source tree just turned 20 years old. Niklas Hallqvist were commiting... then more people showed up. The first developments were improvements to 32-bit sparc. sure noone was ever cut out from 'the language of diffs' again. Sparcstation 10; the third machine I had was a very slow 386. I thought I’d try OpenBSD 2.0 SPARC on Qemu! Well either with SUN PROMs, or OpenBIOS the result is the same, it crashes when initializing the SCSI bus. But you can play kernel hangman, if you are into that kind of thing. Welcome to the OpenBSD/sparc 5.8 installation program. Just don’t bother with the ‘install diskette’ try the miniroot instead. One thing that’s always bugged me about the Qemu 1.0 and higher is that they don’t print anything to the Win32 console. So you have to go digging around in stdout.txt or stderr.txt . Very annoying. And of course Windows users can’t have the nice ‘curses’ text mode interface. Or can they? While I was re-updating the 4.4LiteBSD MIPS Qemu package, I turned off the normal SDLmain so that it now acts like a console binary, meaning that stdout/stdin now function properly. So if Qemu had a problem, you can see it! And while I was in the source, I thought why not see how hard it is to manually turn on curses? It’s a quick one liner to config-host.mak (since it’s not detecting) then updating everywhere it has <curses.h> hard coded to use <ncurses.h> …. I guess I could have made a symlink, but whatever. It links and more importantly I can run text mode MS-DOS in text mode! To activate simply use the -curses flag.  So now you know there may or maynot be issues… In this case, I don’t care about recording audio, so it doesn’t matter. For the two of three people who like this kind of thing.. Author neozeedPosted on October 16, 2015 October 17, 2015 Categories qemu, Win328 Comments on Adding ncurses into Qemu!